Two years after its release on the PC, Civilization VI finally makes its move to console, and while most of you expected the “stronger” machine, it’s not the case. A port that I personally don’t see as a surprise, Civilization VI on Nintendo Switch makes total sense, but there’s always a worry on the front of quality and its… well “switch” to a more simplified control scheme on the console. Now before we start, I’ll need to highlight that this review is mostly focused on the port and not the root of the game. If you liked to read the full review, then don’t hesitate to do so with the original Civilization VI review I did back in October of 2016. The first good news for those that played the PC version is that all previously launched content drops (4 in total), extra civilizations and scenarios are included at no extra cost. Unfortunately, this doesn’t mean that the Civilization VI: Rise & Fall expansion is part of that content, which was praised by our site when it came out, but the base game is more than a solid amount of content to play on the go. On the Nintendo Switch, the core game and its modes are exactly the same as the original, up to the point of playing on large scale maps against the maximum amount of opposing civilizations. It is also possible to freely configure the various options with custom games, whether it is the difficulty, the terrain type, speed of play, which city-states or civilizations are available and more. And so for this case, I went ahead and started up the maximum amount of instance to judge the performance of the game on the go, and it’s actually solid. While the loading of the game was noticeably long, once the game started up, everything is smooth with almost no hiccup at all in both docked and handled mode. This is not surprising when you realize that Aspyr Media took care of the port, who already are known for their work on the MacOS versions of Civilization VI, and graphics are crisp while the UI was altered a tiny bit to be more readable on the small handheld display. While you’ll notice that the graphics prowess of the game is a bit reduced when playing on a big screen and comparing it to a full specs PC version, the overall output is solid, animations are fluid, and most importantly the interface works almost as intuitively on the Joy-Con as with a mouse and keyboard. My biggest issue with Civilization VI on the Nintendo Switch is the way a very important part of the core game was treated with this port: multiplayer. While I technically played Civilization VI rarely with other players on PC online, considering how the Nintendo Switch opens the door to new ways of playing with friends, it’s weird that you cannot play with others online (with or without a subscription to the service). Sure the option of playing with 4 other friends is there, but that still relies on being connected to the same network. Why didn’t they keep the online option? Why not explore other options as well that could’ve worked such as a passing the controller to the other player every turn? Technically speaking, porting Civilization VI on Nintendo Switch is a clean job, even if you take in consideration the limitations of the console. The game, after all, can be quite demanding especially on the front of AI processing and multiple animations at once, the more you have opponents on the map, or get into the later turns when each civilization is reaching its full potential. Sure you’ll start hearing the Nintendo Switch push its fan a bit hard to counter the heat coming from the processor, but it’s not to a point where it gets annoying. As a Civilization fan, I’m more than happy to get to experience this on the go, without the need of using a heavier tablet/PC like I used to do with my old Surface Pro 3. 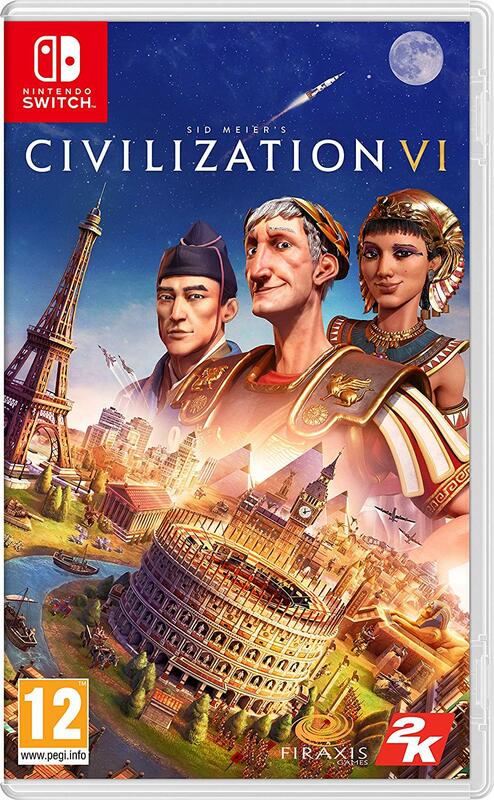 Civilization VI on Nintendo Switch was reviewed using a Nintendo Switch digital code of the game provided by 2K Games. The game was previously released on PC in digital store releases. We don’t discuss review scores with publishers or developers prior to the review being published (click here for more information about our review policy).